Marla W. asks: Did Shakespeare really invent the expression “to stand on ceremony” or is this just another expression he gets credit for online that was invented by somebody else? Thanks! Dating back to the early days of the English Renaissance, and quite possibly having been coined by none other than the Bard, himself, the phrase “to stand on ceremony” has long been used to describe (or more often deride) a scrupulous and unproductive adherence to rules and protocol. The verb “to stand” pre-dates the Norman invasion and was well used by the Middle English period. Early on, the word related to standing on the feet or remaining upright, although the connotation of being insistent upon something, and the use of the preposition “on” with the verb, can be found as early as the 15th century. So he be dead . . . . I arrest you of high treason here. Stand not on titles, but obey the arrest. Yet now they fright me . . . . The three brothers John Wilkes, Junius Brutus (Jr.), and Edwin Booth, all critically acclaimed actors of their day, only once appeared in the same play together. That was in a portrayal of Julius Caesar in 1864, with John Wilkes playing Marc Antony; Junius taking the roll of Cassius; and Edwin playing Brutus. 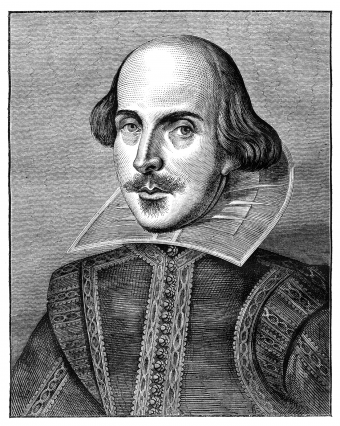 The funds from the performance were donated to erect a statue of William Shakespeare in Central Park, just south of the Promenade. The statue still stands there to this day. Edwin Booth was a staunch Unionist and Lincoln supporter (who, interestingly, also once saved the life of Abraham Lincoln’s son), while John Wilkes Booth was an even more fanatical secessionist. When Edwin informed his brother he had voted for Lincoln, Wilkes Booth supposedly became rabid and asserted his belief that Lincoln would soon set himself up as king of America.